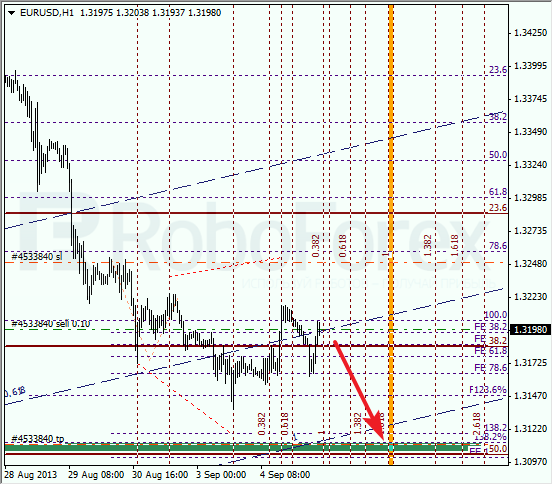 The EUR/USD currency pair started a deeper and longer correction. However, after it the price is expected to continue falling down towards the target area formed by the levels of 50% and 138.2%. That’s why I’m selling again with the stop placed at a local maximum. 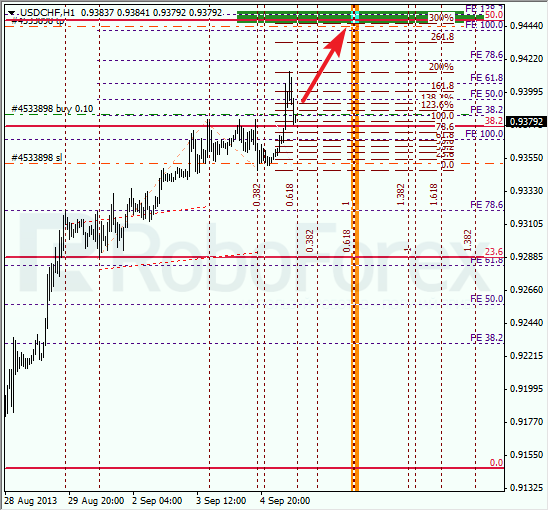 According to the analysis of the temporary fibo-zones at the H1 chart, the predicted targets may be reached by Friday. Moreover, the bulls may face the resistance from the 1 line of the fibo-channel. Franc broke the level of 38.2% and right now is moving above it. During a local correction, I opened a short-term buy order with Take Profit placed at the level of 50%. I’ll move the stop into the black as soon as the price breaks the maximum. 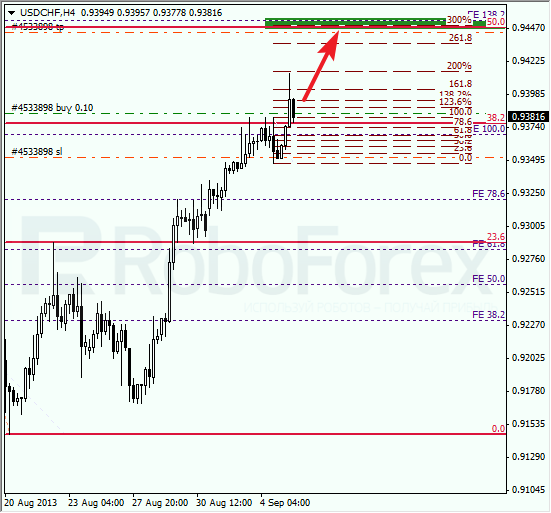 According to the analysis of the temporary fibo-zones at the H1 chart, the target area, formed by four fibo-levels, may be reached during the next several hours. If later the pair rebounds from the above-mentioned area, the price may start a deeper correction.